The Housing & Planning Act received royal assent last week after a tumultuous trip through parliament’s legislative process. Over the course of six months ministers, backbench MPs, and peers tabled hundreds of amendments in a bid to improve the bill. Some were successful in being adopted and maintained. Most were not. 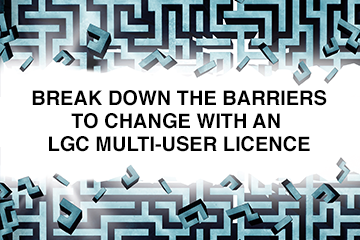 LGC has picked out the key changes and clarifications made to the bill. The bill originally referred to local authorities selling their “high value” properties but the government later amended it to “higher value” in a bid to prevent some councils from being disproportionately affected by the number of sales. Regulations setting out what constitutes “higher value” will be set out in due course. Councils will be able to retain more of their right-to-buy sales receipts to provide replacement homes if they enter into an agreement with the government and commit to building at least one new “affordable home” for each property sold outside of London, and two for every home sold in London. The term “affordable” includes starter homes which will be available to buyers below the age of 40 with a minimum discount of 20% against market value, limited to £450,000 in London and £250,000 elsewhere. Councils will be required to promote the supply of starter homes. While there is no threshold included in the act, housing minister Brandon Lewis told MPs this month he expected 20% of new homes on a site will be starter homes. Local authorities won’t have to accept starter homes on rural exception sites – small plots of land that would not normally be used for housing. The government is currently consulting on a taper for how much of the discount homeowners will have to pay back should they sell their starter home within a certain time period. Pilots which will allow alternative providers to process, but not determine, planning applications are to be carried out over a five year period. Any advice or recommendations from approved providers, which could include planning consultants or other councils, will not be binding on local authorities when they take a final decision on an application. Local authority landlords will have to charge certain tenants more rent, whereas housing associations can decide whether to do that or not. Households earning more than £31,000 outside of London and £40,000 within the capital will be subjected to higher rents. Benefits will not be included in those calculations, nor will any income from children living at home. For every £1 households earn above the pay-to-stay threshold, there will be a 15p increase in rent. The thresholds are to be reviewed and uprated in line with inflation each year. Councils will be able to grant secure tenancies of up to 10 years to families with children – the legislation originally limited this to five years. Statutory guidance will be issued to councils on which households will qualify for a secure tenancy. Greater freedom for councils over planning fees, a new approach to starter homes and action to tackle so-called land banking by developers are expected to be announced before the end of the year, LGC has learned. Local authorities are likely to be given powers to set planning fees locally, housing and planning minister Gavin Barwell has hinted. The government must build 300,000 homes each year instead of 200,000 per annum in order to tackle the housing crisis, according to the House of Lords Economic Affairs Committee. Councils are doing a “fantastic job” at contributing towards meeting the country’s housing need but “need to do more”, according to the chief executive of the Housing & Finance Institute. It is still “a bit premature” to define what constitutes a higher value home under the Housing and Planning Act, housing minister Brandon Lewis has told LGC. Barking and Dagenham LBC is offering council tenants the chance to buy part of their property as an alternative to right-to-buy. London mayor Sadiq Khan will meet with developers and housing providers in attempt to strengthen confidence in the capital’s property market following the EU referendum result. Legislation which would impose a statutory duty on local authorities in England to prevent homelessness is not imminent, local government minister Marcus Jones has indicated. Communities secretary Greg Clark has overruled a neighbourhood plan in order to allow 280 homes to be developed in a rural village – a decision believed to be the first of its kind. Oxford City Council has launched a bid to develop housing beyond the city’s boundaries, days after being accused of planning a “land grab” in a row over restructuring across the county.